Until Spring 2014, we will only be offering one on one lessons via Skype. 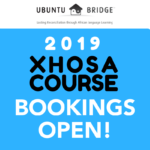 However please be patient as we perfect the online booking system, as we are in an ongoing developmental phase until late in 2014. This also remains a sphere of development for us! 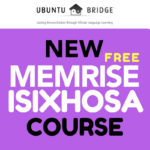 Please check out the FREE ONLINE XHOSA COURSE we are offering. Again, please have patience as we develop these areas of our business. Thanks! Please fill out this form if you have any queries, though best is to join our newsletter for updates and info. Please enter the Names, Cellphone numbers and Email Addresses of the additional people who will be attending. PLEASE NOTE: We can add you to our mailing list and let you know of all relevant and up-to-date information, usually once a month. Perhaps safest to also sign yourself up via the buttons on this page! 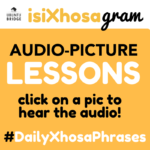 I’m interested in setting up one on one tutoring for isiXhosa for myself and a colleague. He’s a complete beginner and I’m something along the lines of intermediate. What are the options and how much would the lessons cost? 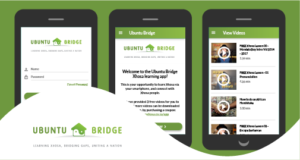 Check uthini.co.za for mobile phone based tutoring based on our materials.